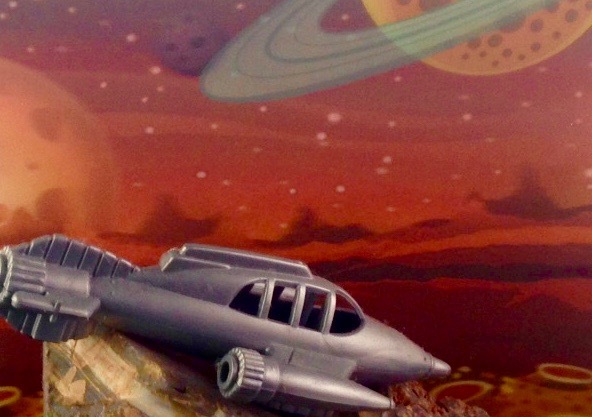 Above L: Toysmith Spaceship X-100 crash lands in front of the Popeyes Heroes lenticular planet landscape. 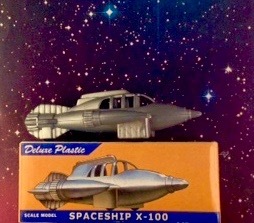 M: Spaceship X-100 box and ship. 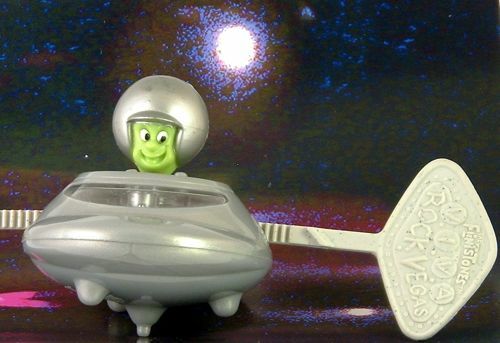 The 5 inch silver gray plastic spaceship has free-rolling wheels, and is labeled "2008 Toysmith". The box reads "Collectible Toys of the 40s and 50s". This one came from TinToyArchade.com. R: This sheet of Popeyes Heroes stickers comes with the planet background, giving a 3D effect when they are applied. 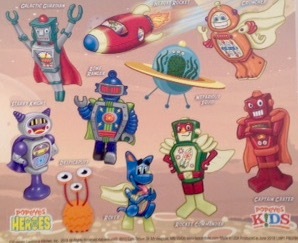 This sticker set is by Kidcentives.com, 2018. 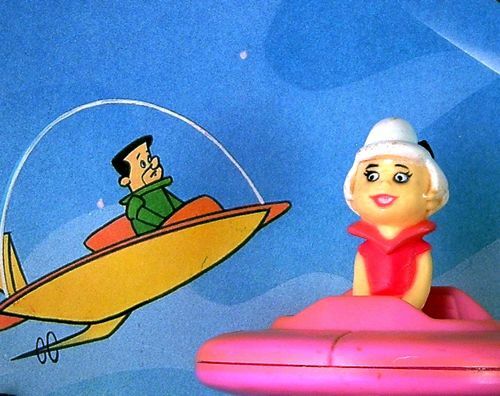 Above L: Jane Jetson easily handles Atomic Betty's transforming star cruiser. 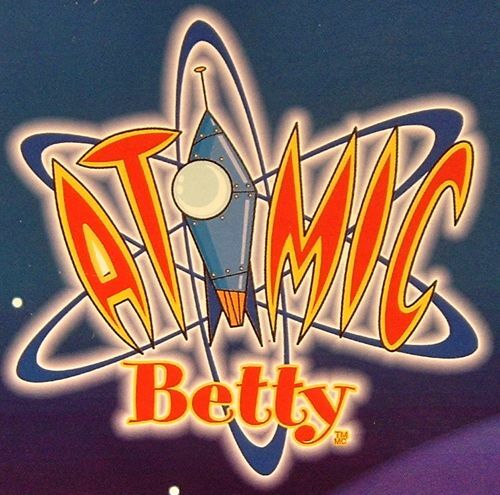 M: Atomic Betty logo from the show, as seen on Cartoon Network. R: Alerted that daleks are in the area, Jane transforms the Galactic Guardian into its alias: the harmless schoolroom of Moosejaw Junior High, and the Jetsons make their escape, just in time. 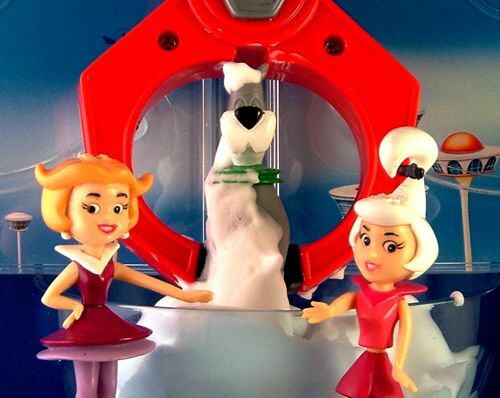 The Jetsons keychains came on an interstellar voyage from Jack in the Box. L: Bath time for Astro, as he gets washed by a robot hand at the Skypad Apartments. 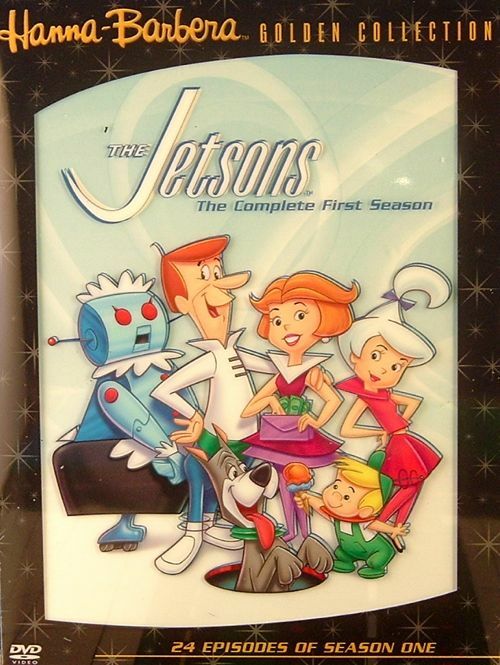 M: If the background looks familiar, it's simply the inside graphics from The Jetsons first season DVD set. 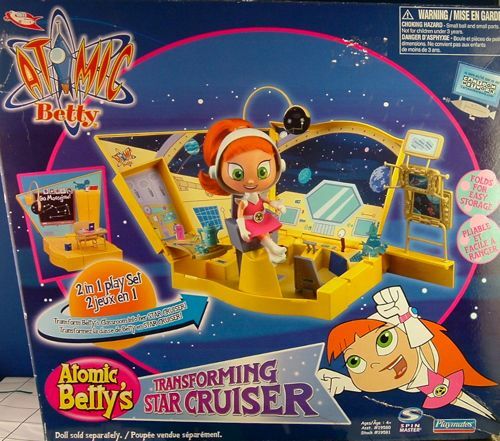 R: Box for Atomic Betty's Transforming Star Cruiser by Playmates/ Spinmaster. 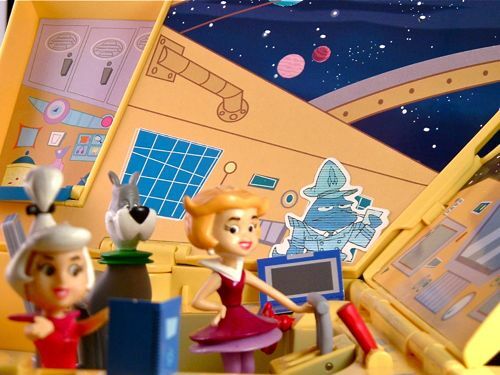 Above L and M: The Jetsons' space cars zoomed in from Wendy's. 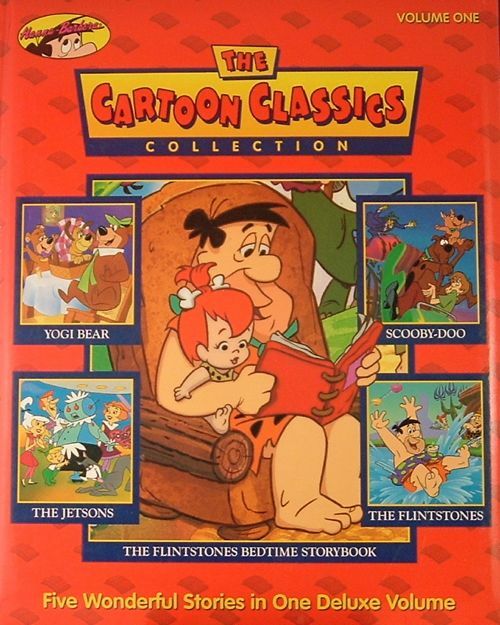 Here Astro and Judy fly past the open pages of "Rosie Come Home" in The Cartoon Classics Collection Volume One: The Flintstones Bedtime Story Book from Bedrock Press/ Turner Publishing (R). 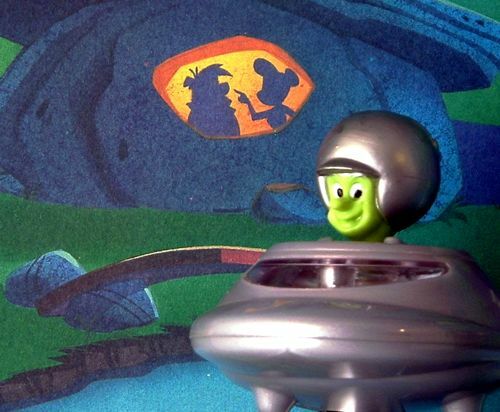 Above L: The Great Gazoo sails in from Burger King, and into "Fred's Big Splash" from the above storybook. 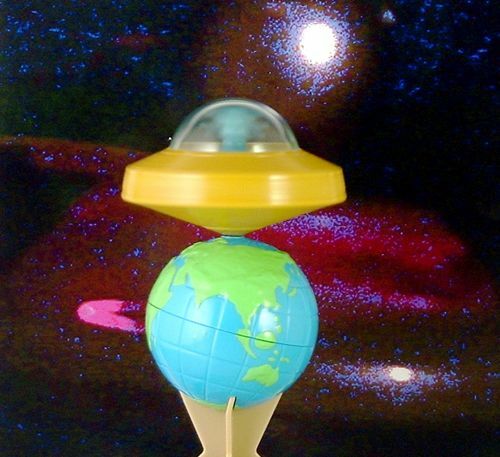 M: Pull the "Viva Rock Vegas" launching strip, and the Gazoo's gyro saucer spins and the windscreen lights up. 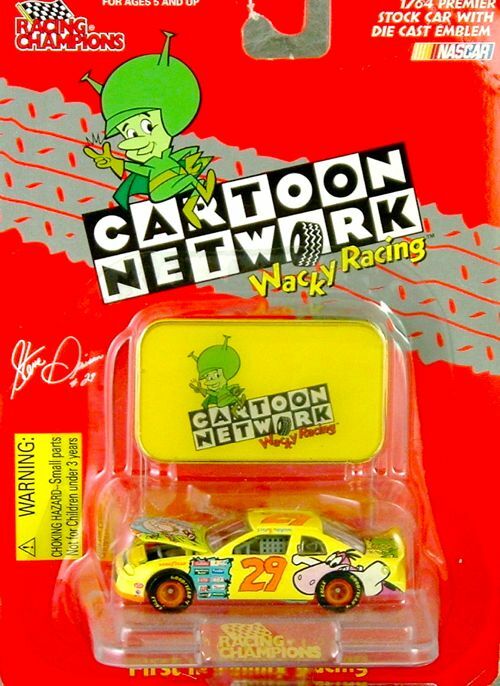 R: Gazoo showed up on Cartoon Network's 1996 NASCAR stock car with the motto, "First in Family Racing." This 1/ 64 scale model from Racing Champions included a die cast Gazoo emblem. 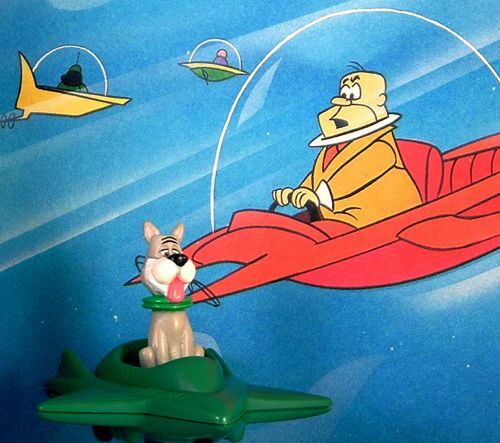 The same car was also available with emblems of Fred, Barney, Dino, or Muttley, all of which appeared on the car. 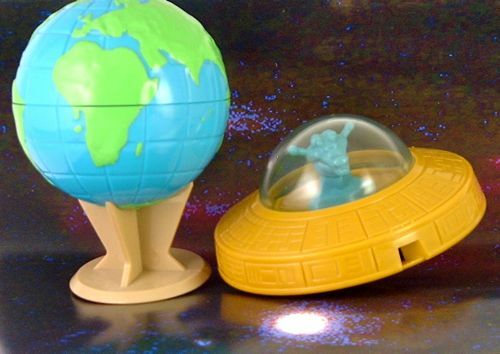 Top L: An alien saucer from Men in Black spins on the earth. M: Blowing into the slots on the saucer revved up the gyro in this whistling saucer from Burger King. It was also available with a skyscraper instead of the earth. 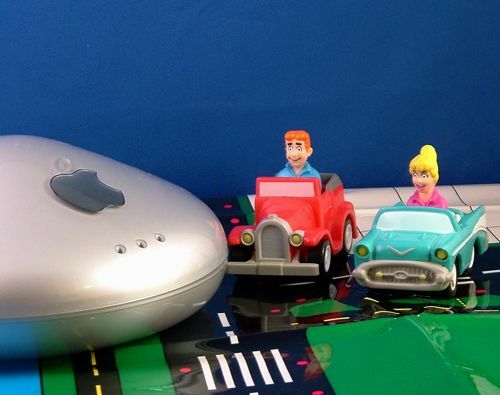 R: Archie and Betty, driving home from the Burger King Kids' Club, have come upon a mysterious UFO (or it may be a classic Apple Airporter).